The NPR show All Things Considered issued a challenge earlier this year: write and record a song—in two days. Stephin Merritt took them up on their challenge, enjoying the benefits of NPR’s beautiful recording studio (studio 4a) fully stocked for his creative purpose. You can see a video of that two day creative sprint on the NPR website, and you can form your own opinions about whether the challenge or the result are for the ages or not. My question is more technical: how well did the studio itself perform? How well did the video capture the creative process at work? If you had access to all 48 hours of recorded materials (multitrack inputs, video cameras, computer monitor outputs, etc), what would you want? What would you cut? As Stephin himself acknowledges, the song itself had only one section–most popular music has at least two and usually three–so perhaps two days was a bit short. What could have been done in three days? What about five? And what about an elegant corpse model of music composition–what if three artists had been given the image and the word that one had selected, they agree on the key, tempo, and major thematic device (in this case, 1-9-7-4), and one did the verse, one did the chorus, and one did the bridge? How exciting might that have been upon reveal? If you have links to similar experiments, please share! I agree! See the full article at WIRED. I didn’t say it–Robert Frank did. Robert Frank covers the topic of wealth for the Wall Street Journal, and I have to say that his advice on which $1M watch to buy, or which $750,000 bottle of wine is ready for drinking is a bit too rich for my wallet. But his latest column (which builds on several earlier columns) boils down to this: stuff for the sake of stuff is just not that satisfying. That’s terrible news for people who expected money to buy them happiness in the form of sports cars, yachts, beach houses, and other property, but no surprise for those of us who find happiness in the doing (rather than the buying) of things. The event involves Hit Songwriters from Nashville who gather together in small groups with the attendees, and write a short song or jingle about the company. 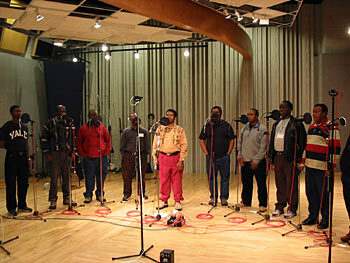 Then the separate groups come back together in the studio, and surrounded by lots of laughter, record their individual masterpieces. The highlight of the evening comes at the end, when the hit songwriters do a performance of their biggest hits in the intimate setting of the studio. What a great opportunity for people to see how their own create works draw, consciously or unconsciously, from the culture that surrounds them. And what a great opportunity for professionals to raise their game through this collaborative experience. I wish Parlor Productions and their clients much success! The things I learn by talking with just a few people who know a lot! I just learned about Philly Through My Ear, a creative, collaborative effort to bring together great jazz musicians, honor them, pay them, record what is still <em>great</em> music, and then give them a lottery ticket in the form of a CD that they are free to sell whereever and hoever they wish. Why, that sounds just like the fair share model I’m trying to promote in The Miraverse! According to the wealth survey of the Wall Street Journal, there are now more than 10,000,000 millionaires in the world and 3.2 million living in the US alone. Why are they spending so much on mere stuff that’s polluting the environment and not much on transcendent experiences that can be made in carbon-neutral ways? I don’t know, but I do know that Will Smith Sr. (father of Will Smith Jr.) has his priorities in order, and his generosity expands far beyond just the support of his favorite living artists: it actually enriches the arts. So a shout out to Will Smith Sr., and an invitation to those who are trying to decide how they might allocate their assets between things (that need space) and experiences (which can be carried always). And a prayer that my favorite living artists will have the creative and legal freedoms to create more musical descendents to fill us all their their genius.